Just want to inform you that Apple iPad 2 will be available in Philippines on April 29, Power Mac Center also send us PR info that you could get it on the launch date from their store. They also have a 30-day free coverage of accidental damage. Power Mac Center Apple Premium Reseller (APR) stores in Greenbelt 3, SM Mall of Asia (MOA), SM Megamall, The Annex at SM City North EDSA and TriNoma will open at 10 a.m. on the said date. As an exclusive offer from Power Mac Center, an iPad 2 purchase in any of the aforementioned stores entitles customers to a free 30-day coverage for accidental damage under the Save Mac program. This conveniently allows for a replacement of the iPad 2 in cases of sudden and unforeseen physical damage during the period of insurance. 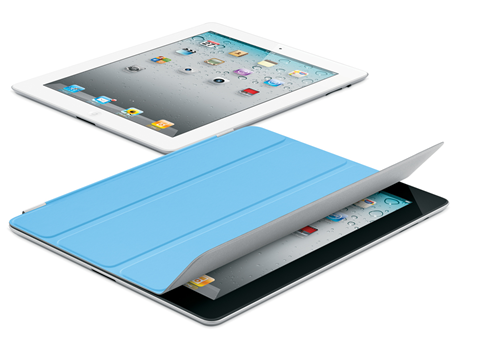 What’s more, PMC celebrates this launch with a three-day 10 percent off sale on all iPad 2 accessories, including the iPad 2 Smart Cover, an ingenious Apple technology specially designed for the iPad 2. I did not get the details about the pricing , but I have been informed that it is close to iPad 1 price during it’s launch.